I recently got emailed about this free writing contest and thought I'd share the details with you in case some of you are interested in taking part. 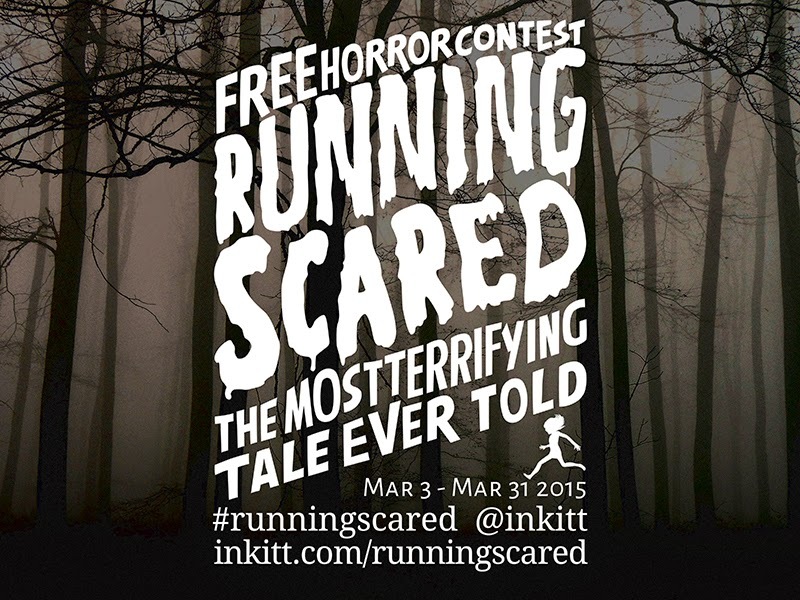 The theme of Inkitt's March horror contest is "Running Scared: The Most Terrifying Tale Ever Told." In the tradition of classic horror flicks and monster movies, they want the freakiest, flashiest fables you can come up with. Make them scream! Inkitt is accepting all frightening fiction up to 15,000 words. Inkitt is a free platform for writers to cultivate ideas and watch their stories grow. On our site, users collaborate with fellow writers and readers to give each other feedback and improve their work. Inkitt wants to help writers get the exposure they deserve and the publishing deals they covet without suffering the frustrations and bias of traditional printing and selfpublishing. 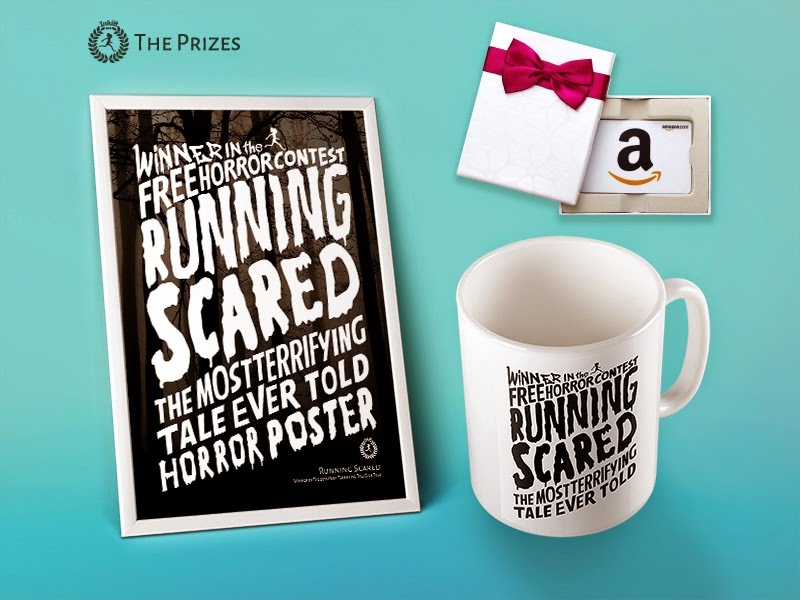 What is the theme of the horror contest? "Running Scared: The Most Terrifying Tale Ever Told." In the tradition of classic horror flicks and monster movies, we want the freakiest, flashiest fiction you can come up with. Make us scream! Frightening fiction up to 15,000 words. Entries must be posted on the Inkitt contest page to be considered eligible. The contest opens on March 3rd and closes on March 31st. It is free to enter, and authors will retain all rights to all work submitted. Authors will collect community votes, and the first, second, and third place winners will be chosen by Inkitt’s guest judges (horror authors J.D. Horn, Armand Rosamilia, and J. Thorn) from the top 10% of entries. All entrants will have the chance to show their work to a growing community of authors and readers hungry for high-quality fiction and win the following prizes: 1st Prize $25 Amazon gift card, customized movie poster (and high-resolution .pdf file) spotlighting the winner’s story, Inkitt custom mug, custom cover design for the Inkitt story of their choice (created by Inkitt’s designer). 2nd Prize $20 Amazon gift card, Inkitt custom mug. 3rd Prize $10 Amazon gift card, Inkitt custom mug. One review, randomly chosen, will also receive a $15 Amazon gift card.